It doesn’t take a genius to work this out, but the cool guys over at the iLounge have released some interesting info from a ‘reliable’ source within Apple about some additions to the range in the next few months. 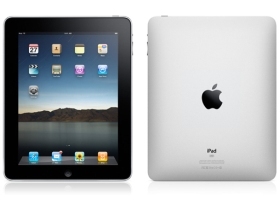 Again, an obvious choice, I have been expecting a release of a new iPad before Christmas 2010 for some time. It just makes sense to do the iPad and iPhone on a near yearly cycle so a new major product is released every 6 – 7 months. Rumours here suggest a new, smaller 7 inch screen version of the iPad as a more entry level product. Again this makes sense, and aimed at all those who still feel the iPad is to expensive. But what I would really like to see again, is dual cameras and something like an HDMI output. Turning the iPad into not only a browsing device, but also one for viewing as well. In the interim, Apple are reportably working on a second generation bumper for the iPhone 4. Don’t expect enhancements, more likely they are trying to reduce costs, and mass produce so they can give more away in the future. So there it is, a load of crap? I don’t think so. Some of the ideas are a little far fetched, but in the whole they make sense. Not to mention these leaks come within a few days of the BlackBerry Torch and BlackPad announcements.. Oh coincidence? I think not. And to be fair to iLounge, in the past they have been pretty accurate. 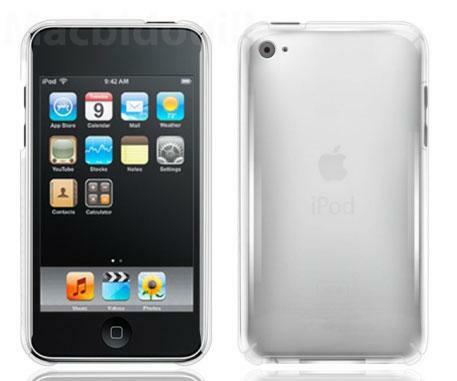 Update 1: Someone may have leaked a 4th generation iPod picture above (via hardmac). If real, we can see a back camera and flash (but not front mounted one), a lighter / metal back, as well as keeping the more rounded design, not seen in the iPhone4. Update 2: Another leak this time, of apparently a 4th Generation iPod touch LCD screen but this time with a little hole for a front facing camera 9as seen above). To me this makes alot more sense but I am sure more things will be leaked over time, so as awlays we will keep you updated. So what do you think? Would you buy them? And more importantly what features would you like to see in upcoming releases?